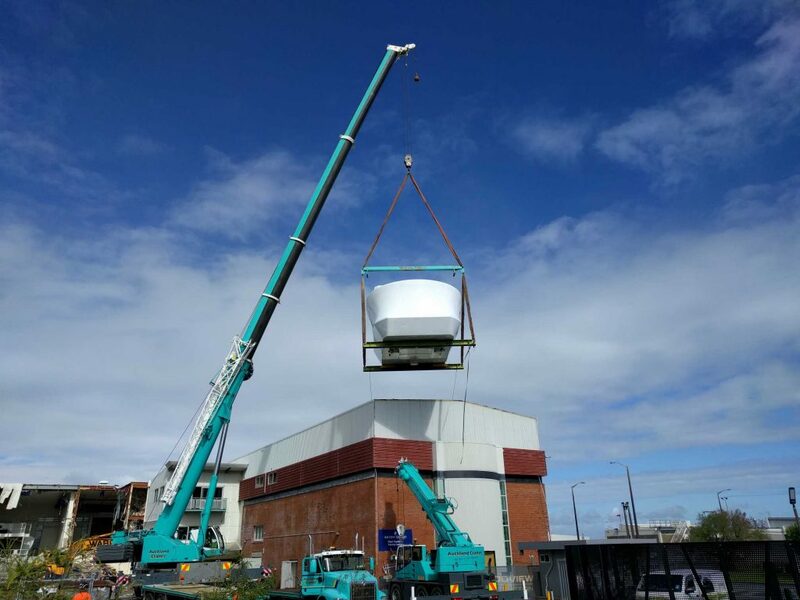 RCP managed the demolition of 2 Air New Zealand buildings that previously housed the Flight Simulators equipment which pilots used for flight training purposes. The mobile, 10 tonne simulators imitated different flying scenarios with key characteristics like air density and turbulence through hydraulic or compressed air ‘legs’. This building was one of Air New Zealand’s flagship developments at the airport and was first built in 1969. The project also included hazardous material clean-up and removal, and will become a car park at completion.